Who Was the Real Lady Susan? Please join us in welcoming special guest Dr. Rachel Carnell of Cleveland State University as guest speaker at our next meeting March 3, 2013 at the Solon Library. As the CSU English department's specialist in eighteenth-century British literature, Dr. Carnell has a wealth of information about Austen and her world to share. We’ll be given a special treat, as she’ll be previewing a new publication in which she interprets Lady Susan as covert political history. Did Austen’s writing hide criticisms of powerful political movers and shakers of her era? Is Lady Susan based on the Duchess of Marlborough? 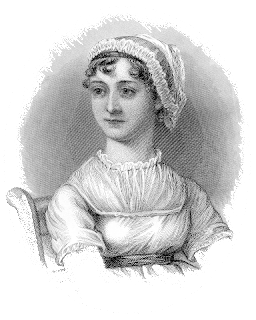 Professor Carnell will not only teach us more about one of Austen’s most memorable characters, but also enlighten us about some of the important historical figures whose famous (or infamous) exploits may have influenced her works.